Loomstate !Act Natural! Blog: International Surfing Day 2010! Not only is this Sunday Father's Day, it's also International Surfing Day! In its sixth year, Surfrider Foundation and SURFING Magazine have grown ISD into a worldwide event, bringing together thousands of surfers, their friends and families to celebrate the oceans, spread ocean awareness, and catch a wave. They've had meetings with Governor Shwarzenegger and massive benefit concerts in Japan and Florida, but most of all, they've removed thousands of pounds of trash from beaches over the past six years. Check out a ISD gathering near you here. They've also partnered with more than a dozen surf-friendly sponsors, like O'Neill, Vans and Reef, to form internet and on-site challenges involving gathering trash or repurposing trash, and prizes for the best submisions. Catch a few waves, meet some new friends, help clean the local beach and maybe even win a wax kit for your board. Sounds like a great Sunday! 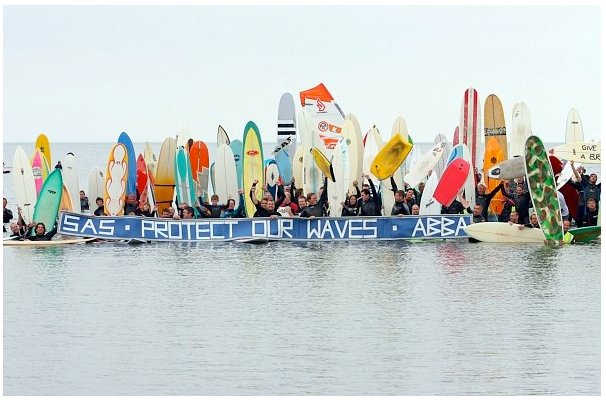 Images from International Surfing Day Photos.